Stephen Colbert just wanted another nightly opportunity to make people laugh. Jimmy Kimmel wanted not to have to deliver another monologue through tears. Conan O’Brien wanted to go back to a time when late-night hosts having to address a national tragedy wasn’t regularly scheduled programming. Seth Meyers wanted the truth. Trevor Noah and James Corden wanted to know why America can’t do better. Jimmy Fallon didn’t want to talk about it at all. Each late-night host processed the news of the Las Vegas shooting, which left 59 people dead and hundreds injured after a gunman opened fire on a country music festival in the worst mass shooting in modern American history, with sympathy, sorrow, anger, and numbness. Collectively, though, they agreed: There needs to be change, and it starts with gun control. 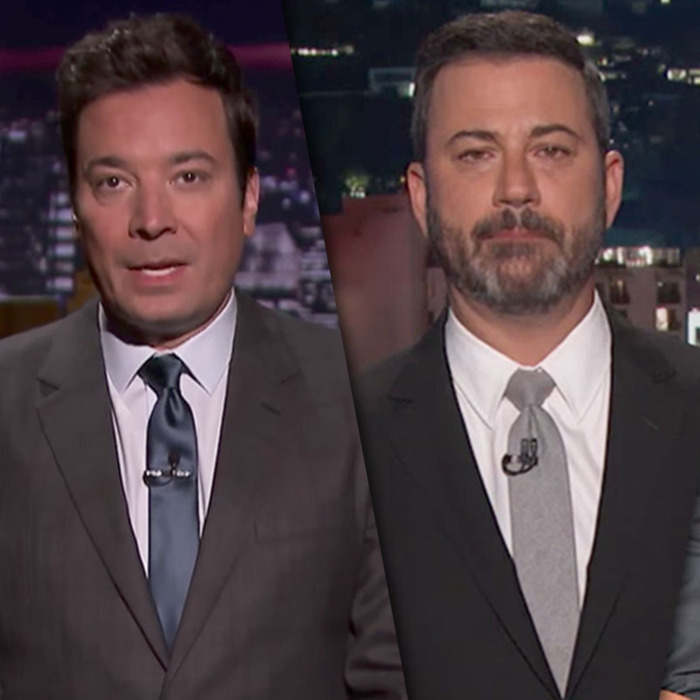 In lieu of a monologue, Fallon opened his show with an odd pairing of a performance from Miley Cyrus and Adam Sandler doing an acoustic cover of Dido’s powerful “No Freedom.” “Ladies and gentlemen, we’re here to entertain you tonight, and that’s what we’re gonna do,” Fallon explained of the choice.